The LG G6 is about to be launched in less than 10 days and one strange thing is that the South Korean company will not be shipping the phone with the 2017 smartphone flagship chipset. Last year, Qualcomm unveiled two flagship chipsets, the first of which – Snapdragon 820 – powers both the LG G5 and LG V20. The second chipset – Snapdragon 821 – is a revised version of the former, stepping the clock speed as well as cutting down on the energy consumed by the former, but it still keeps the same GPU and basically everything else. This is the processor that will power the LG G6 when it’s launched at the MWC 2017 on February 26. Now, in a new report, LG is ready to use the new Snapdragon 835 processor in the LG V30, the successor to the current V20. While LG is not strange to using older chipsets in its high-end phones – it happened with 2015’s LG G4 and LG V10 as far as Snapdragon 808 is concerned, yet the new Snapdragon 810 was available – the latest move could indicate that the company is beginning to position the V series as its high-end offering. In addition to using a newer processor as compared to its counterpart, the LG V30 will reportedly ship with a massive RAM of 6GB, two more than what is touted for the LG G6 as well as the V20. Having a V30 powered by the new Snapdragon 835 is possible given that the phone’s predecessors have been unveiled in the second half of the year for the past two occasions and Samsung will have begun mass production of the chipset by then. Adding to the Snapdragon 835 SoC and 6GB RAM, the upcoming LG V30 is also said to keep the same dual-lens camera setting on the back, but probably with new lenses and more advanced features. As front the front camera, the company will take some inspiration from the LG V10, which had a dual-lens setup on the selfie camera, but for now, the exact details of the lenses are not known. 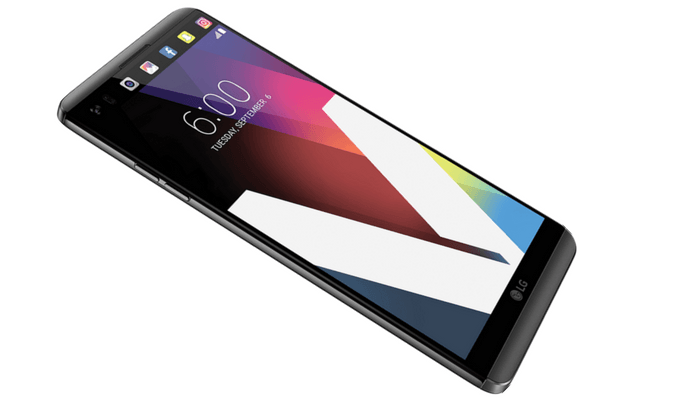 There is word on the street that LG G6 will ship with a much larger 5.7-inch display screen, matching what has been offered on the LG V20 and V10 for the past two years. Whether the LG V30 will retain this screen size or follow Samsung in going after a massive 6-inch screen is still unknown, but we should find out more details in the coming months. Be warned that this is just a rumor and so don’t be too quick to believe it. But as noted, we should find out more details and get back to you with more updates. Keep following!